Book DescriptionThe Nimzo-Indian Defence is certainly one of Black's most respectable ways of meeting 1 d4; it's popular at all levels of chess and white players have been banging their heads against brick walls in trying to find an advantageous line. What can White do to throw his opponent off balance at an early stage? The answer is contained in this book! Grandmaster and renowned openings expert Chris Ward studies an ambitious and uncompromising way of battling against the Nimzo, one which the world number one Garry Kasparov first brought into the limelight in his legendary World Championship clashes with Anatoly Karpov. 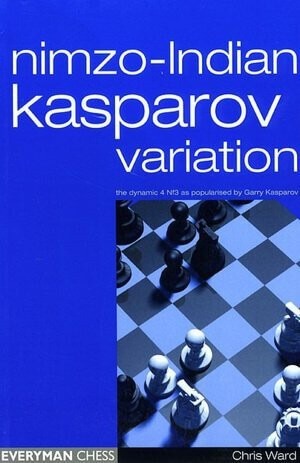 Kasparov's continued success with this line prompted many experts to call it the "Kasparov Variation". By studying this book, white players can arm themselves with a new dangerous system against the Nimzo, while black players can look carefully for antidotes!